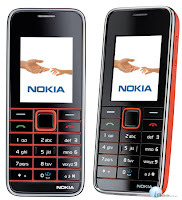 Nokia is a brand of mobile phones is very popular in the world. In the market, mobile phones Nokia has been circulating in various types. One of them is Nokia 3110c. Damage that often occurs in Nokia 3110c is blinking and restart (at least that's what i often find). Maybe for people who have had experience in the world of mobile phone repair, damage symptoms of restart and blinking very recognizable, ie mobile phone screen flashes white. To overcome this damage, we can do reflash. Well, at the time, we are not going to talk about how to repair damage to the Nokia 3110c mobile phone, but that we will discuss here is how to upgrade firmware from Nokia 3110c to the Nokia 3500c. For security, back up first RPL and PM before upgrade. After completion, the themes, screensavers, color schemes and ringtone will be the same as Nokia 3500c. One more thing that's most important, the quality of the Nokia 3110c's camera will be equal in quality to the camera Nokia 3500c which has a resolution of 2.0 megapixels. The following are log information from the upload process is never done. how can i upgrade my nokia3110c and how can i follow that need connector to computer to cellphone?